Visit Conca dei Marini in Italy, on the fabulous Amalfi Coast. Find out the authentic tradition of this enchanting land! 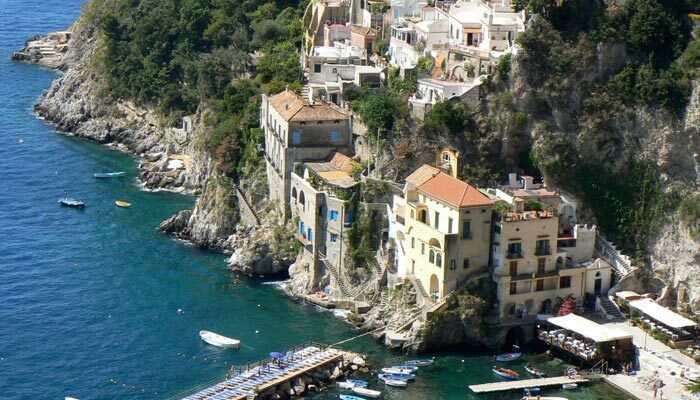 Conca dei Marini, in Italy, is a is a picturesque fishermen’s village on the Amalfi Coast, of 4 kilometers far from Amalfi towards Positano and an usual all-over the word travellers’ holiday destination, due to its beauty, quietness and discretion. Conca dei Marini has a name for being the ‘città dei naviganti’ (city of seagoing men), for its inhabitants that were well-known experienced sailormen at the time of the Ancient Maritime Republics. During your stay at Hotel Torre Saracena do not miss to visit the charming Emerald Grotto! The Grotto was discovered by a fisherman in the 1932s. 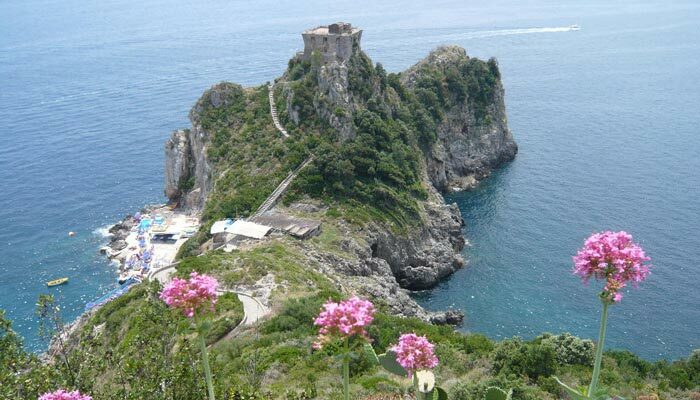 It is reachable by boat from Praiano or by a lift from the Amalfi Road. 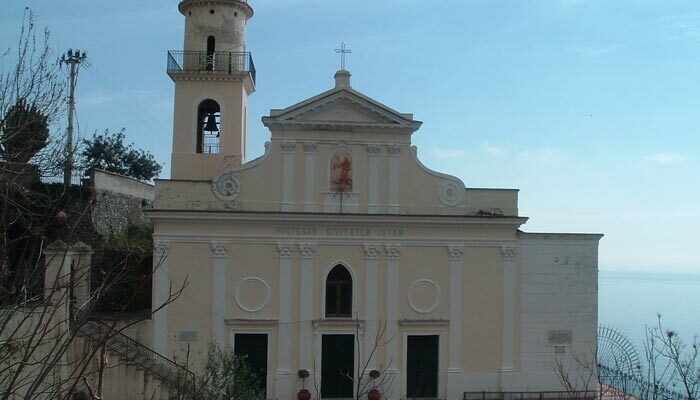 Conca dei Marini is a nice Italian town in the hearth of the Amalfi Coast The town is divided in the ancient fishing village on the little beach “Tonnarella” and the upper part with the most important churches. the religious festivity of “Madonna della Neve” with the fried fish feast on the beach, in the beginning of August. The little church on the beach is so called because a strange snowfall happened in an August of centuries ago. The church preserves an ancient byzantine bas relief representing the Madonna. Thinks to see in Conca dei Marini on the Amalfi Coast, in Italy! The path of the five flavor: along the route in the upper part of Conca dei Marini you’ll see five typical plants of this area. The enchanting Grotta dello Smeraldo (Emerald Grotto) is a 24 meters high karst cave, discovered by a sailor, Luigi Buonocore, in 1932. Today partially submerged, the Grotta dello Smeraldo owes its name to its water, due to the sun light filtering from a submarine gap in the rock. The large number of stalactites and stalagmites inside the cave in some cases form high columns up to 10 meters. On the floor of this ‘arcade’ you can see a wonderful submarine crèche, made of Vietri pottery. Yearly, during the Christmas season, a group of scuba divers dives in and lays a bouquet right there. The Grotta dello Smeraldo is reachable from SS 163 – than you go down by the elevator – or by sea by boats sailing back and forth from the port of Amalfi. This tower, also known as Torre Saracena or Torre Bianca, is an old watchtower built in the XVI Century on a headland by the sea. Dipped into the Macchia Mediterranea wildlife, it was part of Costiera Amalfitana’s safety features. This chapel is a significant cult location according to the local inhabitants. 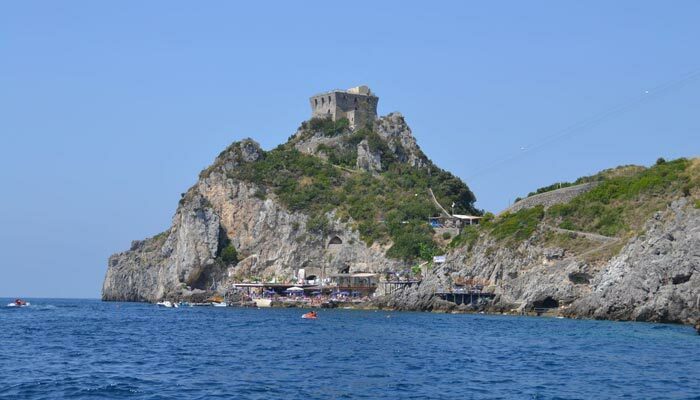 Set into the rock near Marina di Conca beach, it is consecrated to the Madonna della Neve (Madonna of snow), patron of sailor men, yearly commemorated on 5th august by carrying the statue representing the saint on a boat and celebrating mass on the beach. According to the legend, the high relief on the altar of the church, representing the Madonna with Baby Jesus, was found by Conca’s sailors on Costantinopoli’s beach after Ottoman plundering. This church, mentioned for the first time on an official document written by the archbishop of Amalfi in 1370, enjoys an enchanting view of Positano and Capri’s Faraglioni. It seems that the wonderful olive tree grove all around it has been source of inspiration for the native poet Alfonso Gatto. Now you just have to visit Conca dei Marini, in Italy, on the Amalfi Coast!